Access Solar Limited (http://www.accesssolar.net/) was established in the year 2005. Access Solar is the brain child of Technocrats committed to take on challenges in reducing CO2 emissions, a green house effect by banking on Solar Panel (PV) Technologies. We are a team of dedicated professionals with over 20 years of expertise in the solar energy field. Access Solar provides the products with cutting edge solar power technology and of the highest quality, and manufactures the product range from 3wp to 255Wp solar panels with annual capacity of 18MWp and having expansion plan up to 100MWp. 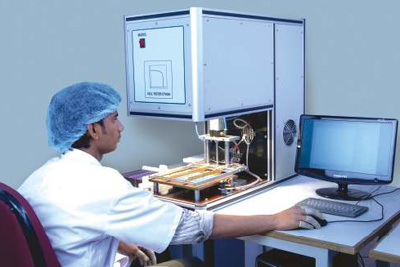 Access Solar manufacturing site centrally located in Hyderabad, India follows the stringent production quality assurance programs and is staffed by highly-trained manufacturing experts. Our PV Modules with Mono or Poly Crystalline Silicon Solar Cells and other key materials sourced from the world’s renowned manufacturers of Europe and USA. Access Solar has developed customized software simulators, project management tools for Solar EPC projects. Our gamut of services are comprehensive, consisting of design proposal, detailed project report, sight survey, installation and commissioning apart from offering long term service and maintenance support in solar power projects. Access Solar has a very effective quality system which has proven record of consistently maintaining quality assurance and checking up-to-date. We have established in-house facilities with state of the art climatic chambers, quality checking instruments, solar power simulators, methods and sophisticated laboratories for our solar panels. Therefore, we have credibility and reliability as a key partner in the solar energy market. As a manufacturer of PV Module, the best quality can be brought in every solar energy system, capabile to execute megawatt scale turnkey projects to explore the vast opportunities that exist in the solar energy sector. Well equipped solar testing facility. 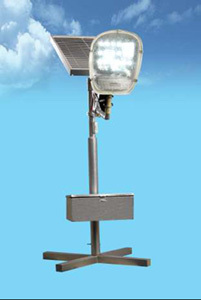 Access Solar Limited offers Solar LED Street Lights which present the perfect and cost-effective solution for streets, security, roadways, parking lots for outdoor general area lighting applications. 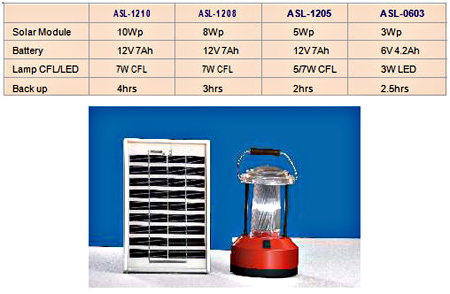 Solar LED lights can be more economically viable and efficient in areas where the cost of providing electricity is expensive due to non availability off-grid solar power or in remote areas or in unreachable terrains. The LED Lights have low power consumption, very long life-span, (>50,000 hrs ) and represent a good alternative to LPS (Low Pressure Sodium), CFL (Compact Fluorescent Lamp) and MH (Metal Halide) lamps. Unlike LPS lamps that produce a yellow-orange light, using LED technology supported by solar panel off-grid or grid-tied PV systems, LEDs generate a very powerful and targeted crisp white light of excellent quality, making excellent night illumination. Access Solar provides high quality installations for both domestic and industrial purposes, offering cost effective solar products. In our projects is a special offer of a wide range of Roof Top Solar Power Packs. We provide advanced systems to ensure the continuous power to your premises and other installations. The solar power pack finds wide range of applications in ATMs , Call Centers, Farm Houses, Fuel Pump Stations, Hotels, R&D centers, Transmission, Communication Buildings and Towers, and Rural Village Electrification, etc. PV Modules are manufactured using semi-automatic manufacturing line with latest solar cell technologies of mono-crystalline and poly-crystalline types, and their performance parameters are under Standard Test Conditions (STC) @ 1000W-m², AM 1.5, 25° C). That obtains the photovoltaic modules satisfy universal standards: EC 61215 Ed.2 1000V & UL 1703 600V. PV Module Technical Datasheet Download! Access Solar is guided by professionals who have been developing solar modules and systems for over 25 years. These experts have extensive experience in all areas of manufacturing, design and installation meeting world class standards, providing high quality system and installation. Access Solar`s reach experience allows good offers for low costs with effective solar products. We hope we will quote prices competitively and looking forward to receive your valuable order and with this introduction we look forward to serve you in near future endeavor. Solar energy is I think true future of energetics and I think it will not take long time until PV will be so efficient that there will be solar panel on every building.